To continue my series about events in and around Stuttgart, here's my next installment on the upcoming culinary happenings in the area during January and February. 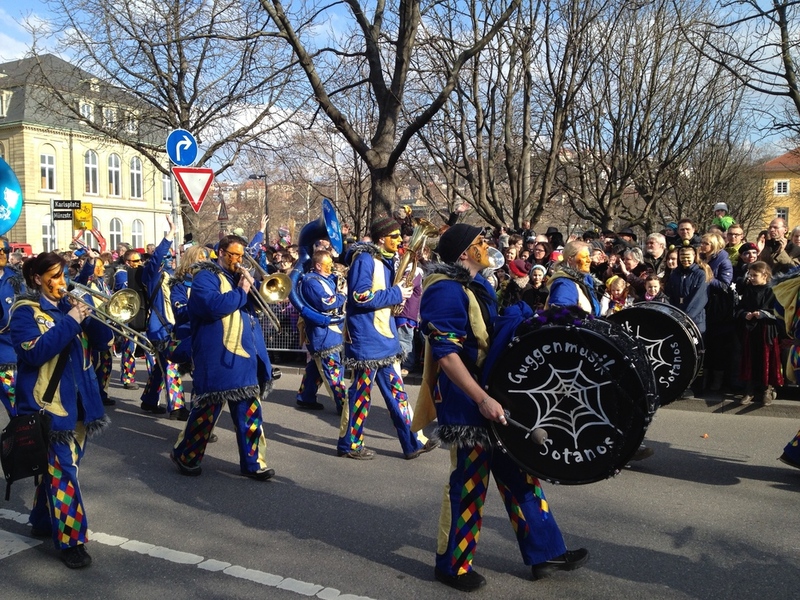 February 17th Fasching Parade -- Much like the Mardi Gras of New Orleans, this is the traditional carnival day that marks the start of Lent. 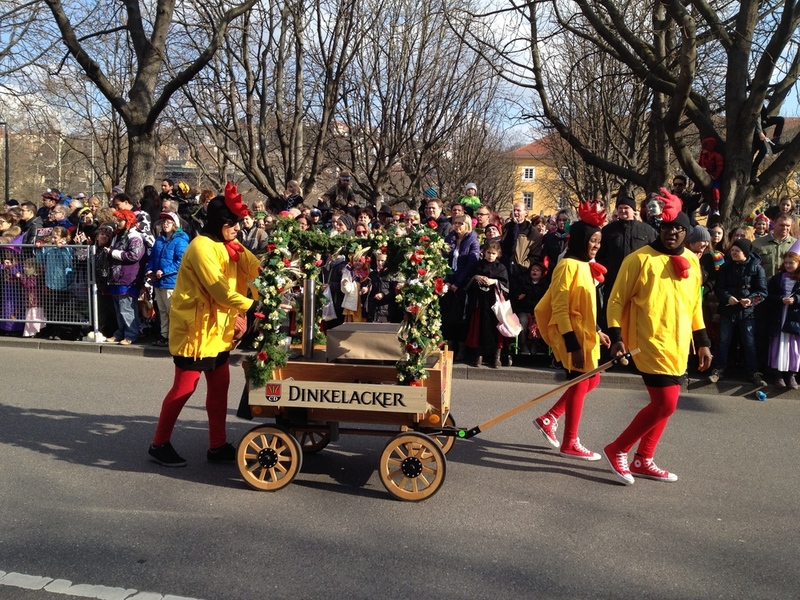 The festival season technically begins on November 11th and ends on Shrove Tuesday with a big parade through the city. 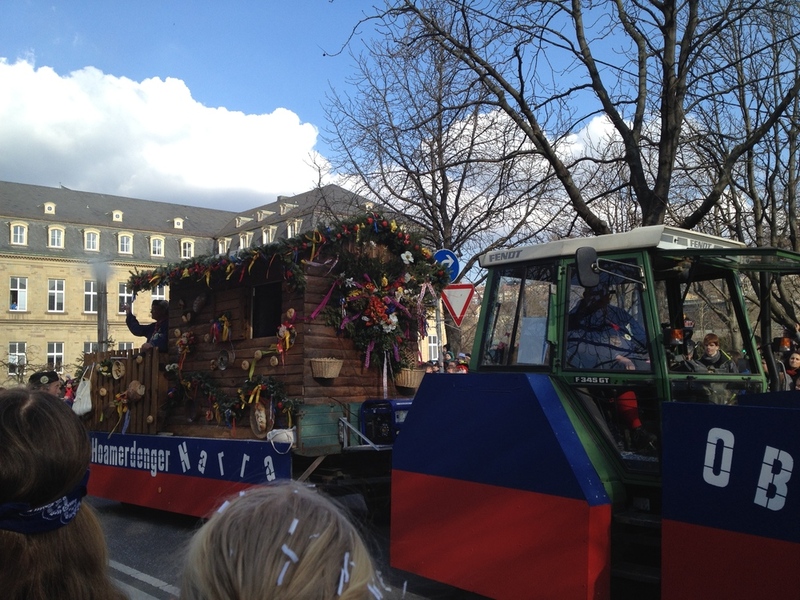 We saw the parade last year around the Altes Schloss on its way to the Rathaus in Stuttgart. I've also heard that Bad Canstatt has a full list of events, as well. 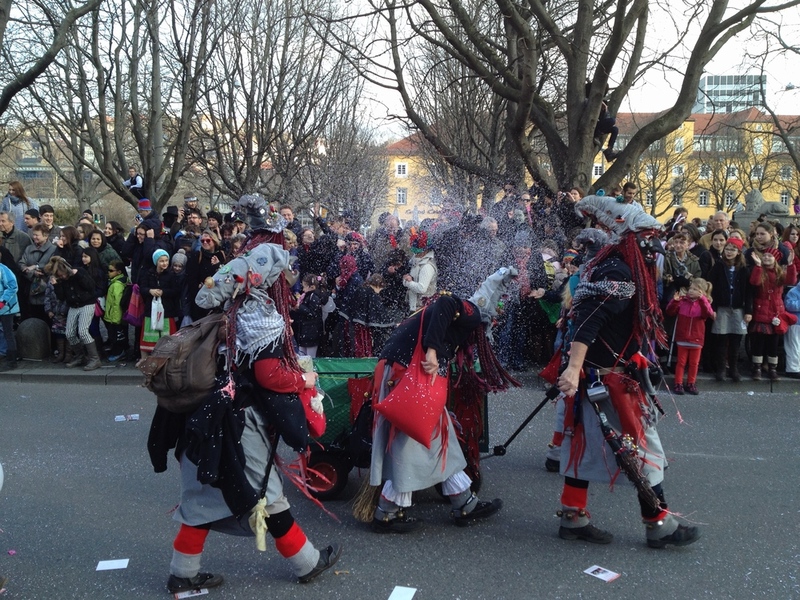 You can see women and men in traditional dress, marching bands of all kinds, girls spinning batons, and best of all, old witches ready to pull your hair and steal something from you if you're not careful. What makes this culinary? The candy that they throw from the floats, of course! That's it, though remember that February 14th is also Valentine's Day, so book early to make sure you get a reservation at your favorite restaurant. I know that Academie der Schönsten Künste and Grand Café Planie always have special menus, though you might want to consider Kanjana Thai, Pincho Tapas, or Kicho Japanese cuisine for something a little more exotic.